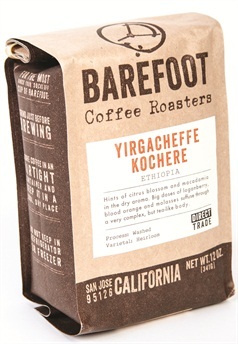 Yirgacheffe Kochere (Ethiopia) from Barefoot Coffee Roasters has doses of loganberry, blood orange, and molasses for a complex, but tea-like coffee. Each roast is hand-crafted to extract natural flavors. For more information, visit Yirgacheffe Kochere (Ethiopia).